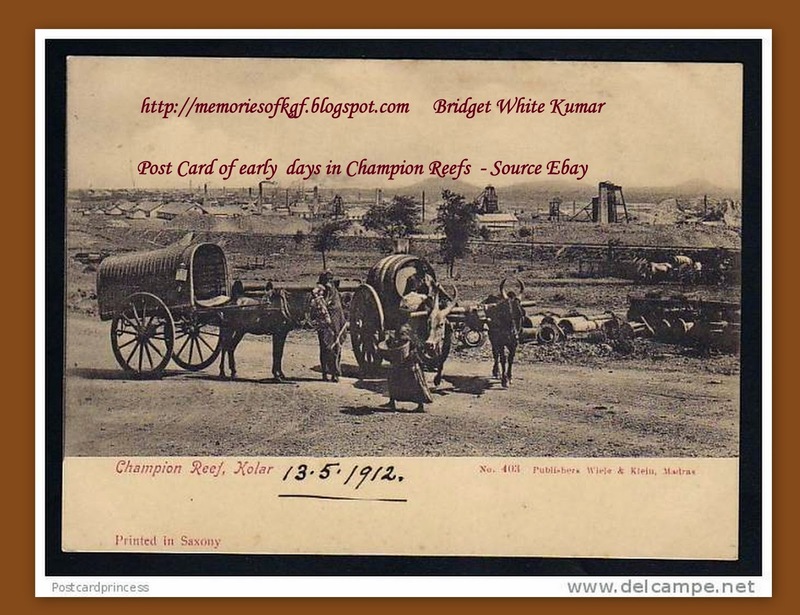 I found this Post Card on Ebay depicting the modes of transportation in the early days in KGF. 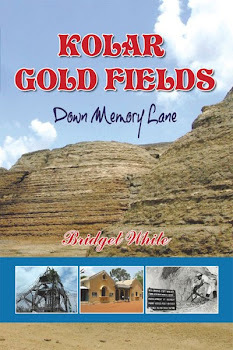 I would like to share a small excerpt from my Book KOLAR GOLD FIELDS DOWN MEMORY LANE in this connection. 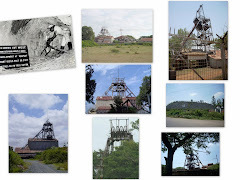 When we were children frowing up in Kolar Gold Fields during the 1950s and 60s, public transport was very limited in KGF and there was no local bus facility to take us around the mines and to Robertsonpet. 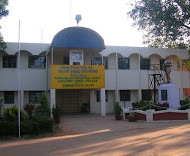 The only buses that passed through the Nandydroog Mine, were the long distance buses that came from Bangalore and Kolar via Bangarapet. These buses were either Express or Non stop Services, so they didn't stop en route to Robertsonpet. The few ordinary service buses were quite infrequent so no one really depended on them as a means of local conveyance. KGF also didn’t have a regular Taxi service in those days. There were only one or two people like Mr. Parker, or Mr. Das from Robertsonpet who ran their old cars as Taxis. The ‘Jatka’ Service was the only means of conveyance for many, many years. People either traveled in the Jatkas or else just walked to wherever they had to go to. The Jatka / Tonga or the Horse drawn carriages came into existence in India, in the middle of the 18th century through the traders of East India Company in Calcutta. It was originally conceived and built for use of the Company but spread to other places in India and soon became a popular means of transport for the common man. The Jatkas and Tongas were the only mode of local conveyance in KGF from the early 1900s till the late 1970s. These Jatkas were fondly called ‘BANDIES’ by the Anglo-Indians which was an Anglicized version of the Tamil word “VUNDIE’, and the Jatka Driver or Cartman was called the "Bandy man"
Besides being the mode of transportation in KGF, the Jatkas were also used as a means of advertising the latest film releases in Town. Before a new film was released, posters of the hero and heroine in some catchy pose would be stuck on to Tattie or Bamboo sheets and tied on the sides of the Jatka. Inside the jatka, a gramophone with a loud speaker would blast the title songs of the Movie, and a person with a megaphone would announce in which Picture House the film would be running. All the small urchins would run behind the Jatka and pick up all the pamphlets that were dropped by the person doing the announcing in the jatka. These ‘advertisement Jatkas’ would go all around KGF covering every street and Miner’s Line so that everyone would know about the latest release. This was a very effective advertising tool in those days.